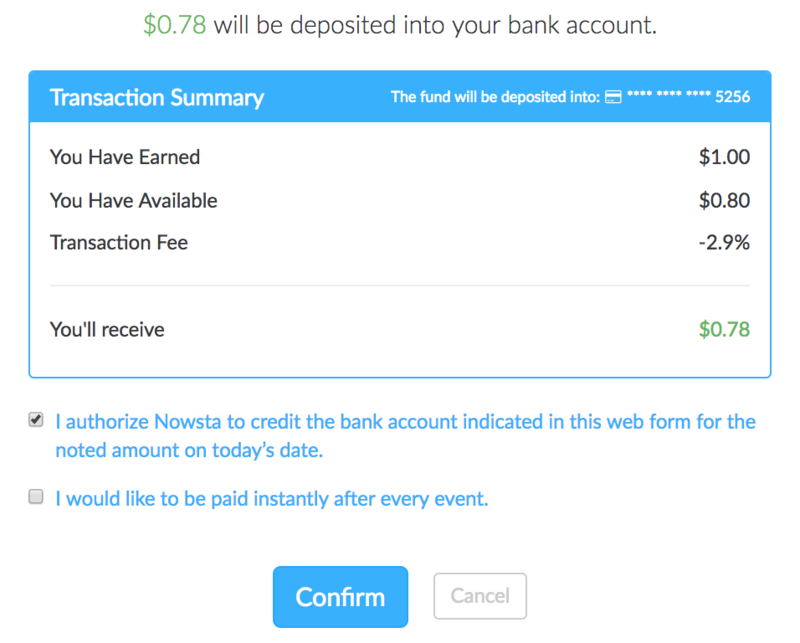 Are there fees for using Nowstapay? Because we provide the capital and infrastructure to finance early wage disbursements, we charge a 2.9 percent transaction fee to power the service. We believe in fair and transparent pricing, which means you will always know what your cost will be. Prior to every Cash Out, you will see how much is available to withdraw and how much you will receive after the transaction fee. You have the ability to cancel or accept the transfer at any time by clicking the Confirm button. If you have any questions, please email us at support@nowsta.com for a more detailed breakdown.